The black box from the Russian Tu-154 plane that crashed into the Black Sea on Christmas Day has revealed that faulty flaps were to blame, Russian media say. A source close to the investigation told the private Interfax news agency that the flaps, panels on the wings that help lift an aircraft, did not open in sync. The pro-Kremlin Life news website says this led the pilots to lose control as the plane was at a “critical angle”. The ageing Tupolev Tu-154 plane came down off the Russian coast with the loss of all 92 passengers and crew. On board were 64 members of the famed Alexandrov military music ensemble, as well as one of Russia’s best-known humanitarian figures, Yelizaveta Glinka. The military jet was heading to Russia’s air force base in Syria where the choir was due to perform at a New Year’s concert. The latest findings allegedly come from a cockpit conversation stored on the flight’s main data recorder, which was found underwater about a mile from the shore. An earlier audio recording, played on Russian media, said to be of the final conversation between air traffic controllers and the plane’s crew, revealed no sign of difficulties. However, Life, a new site which is close to the Russian security agencies, issued a transcript of the cockpit recording taken from the “black box”, indicating the two pilots were taken by surprise. The plane crashed soon after take-off from an airport near the city of Sochi, where it had landed for refueling. The aircraft disappeared from radar two minutes after taking off from Adler airport at 05:23AM local time on Christmas Day. According to the authorities, so far 15 bodies and 223 body fragments have been recovered from Black Sea. 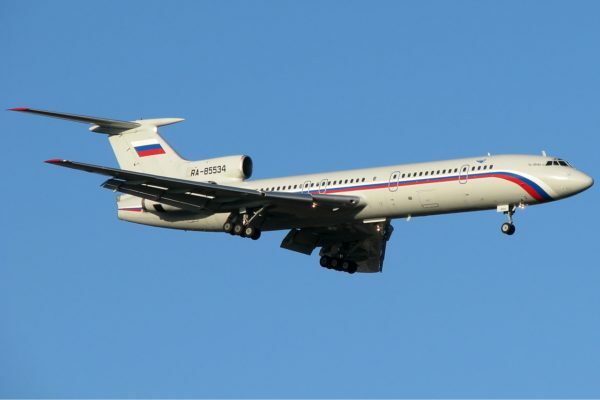 The Tupolev plane involved in the crash was an old model no longer flown by airlines in Russia but still used by the military. It was 33 years old. Russian investigators have so far ruled out terrorism as a possibility, instead concentrating on human error, a technical fault or a combination of factors as being responsible.